Dre's back with his first album in 16 years. Apparently inspired by seeing his younger self portrayed in the NWA biopic Straight Outta Compton, he ditched the work from the much delayed 'Detox' album (a "hip hop musical"!) and started afresh. 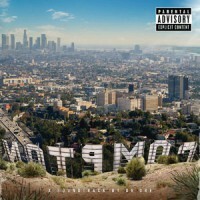 The result is 'Compton', an album that looks back to Dre's past, but also brings a fresh perspective by including a roll call guest MCs (Kendrick Lamar, Snoop Dogg, Eminem, Anderson .Paak etc). Beat building and production-wise, 'Compton' shows Dre hasn't lost his touch, layering live and digital percussion and instrumentation, plus samples and raps into one killer long player. Includes breakout track 'Genocide' featuring Kendrick Lamar - G anthem for the Michael Brown era.